South Korean consumer electronics major LG has just announced that its next-gen flagship smartphone, the LG G7 ThinQ, will be unveiled on May 2 in New York. The device will launch in South Korean the following day, but there’s no word on when it will go on sale in the rest of the world, including India. The announcement has also officially confirmed the name of the upcoming smartphone after a lot of rumors and speculations in the online media over the past few weeks. Meanwhile, just weeks ahead of its launch, the device has been leaked in all its glory, confirming yet again that the device will indeed feature an iPhone-style notch that seems to divide opinion among Android aficionados like no other smartphone design language in recent memory. The image, obtained by Android Headlines, is said to be an official render of the LG G7, and shows that the upcoming device will look somewhat similar to the Asus ZenFone 5, Huawei P20, and a whole host of Android smartphones that have jumped on the ‘notch’ bandwagon this year. 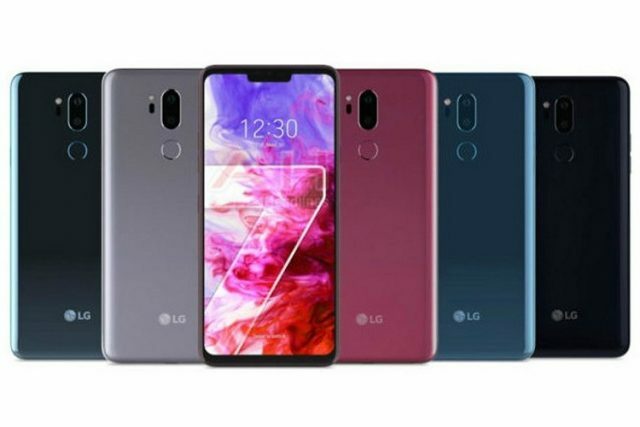 The publication also says that the upcoming smartphone from LG will launch in at least five different colors, including ‘Aurora Black’, ‘Platinum Grey’, ‘Moroccan Blue’, ‘Moroccan Blue (Matte)’ and ‘Raspberry Rose’. The report goes on to state that the Aurora Black will be the ‘default’ color for the LG G7, while the rest of the options will vary by region and carrier. As can be seen from the image, the device will have a fingerprint scanner on the back, but will still retain a thin strip of bezel at the bottom unlike the iPhone X.
It’s important to note here that the next-gen flagship from LG was recently rumored to be marketed as the ‘LG G7 ThinkQ’ to emphasize the company’s AI platform that can be found in a whole host of devices, including its OLED TVs, smart speakers, smartphones and more. The device is also rumored feature an ‘advanced’ M+ LCD display that will apparently allow vendors to reduce the input costs for their premium smartphones.